Kim Bass has a unique niche in the Beauty Pageant industry. Kim exercised her marketing chops in the Model Star Pageant, a system she founded where the national event winners were awarded the opportunity to be taken into New York City by Kim to be interviewed by the top modeling agencies. Subsequently Bass was appointed as State Director for the Miss Hampshire USA/Teen USA and New York USA/Teen USA Pageants for the Miss Universe Organization. The Pageants were owned at that time by Donald Trump and NBC Universal, where Kim gained extensive knowledge in branding and digital marketing. Kim’s clients have included food companies, most recently a candy company – ogfc.net (where Kim created content marketing and outreach initiatives for the Original Gourmet lollipop company for 4 years) as well as using her marketing skills with US based manufacturing companies. Bass, who holds a BA degree from The University of Massachusetts enjoys perfecting her golf swing and serving as a board member with an organization that awards merit scholarships to college bound students. Kim offers business services in marketing, public relations, events, promotions staffing, brand-building strategies and fundraising. Through her company, Bass Enterprises Productions LLC, Kim works with companies in brand building, marketing, public relations, fundraising and product placement. 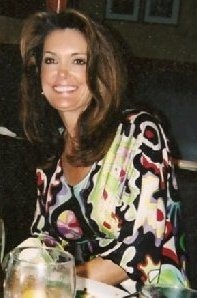 Kim Bass founded her company in 1985. Kim is a seasoned professional with 30 years of experience working in event production, fundraising, marketing, brand building and public relations. Kim holds a degree from the University of Massachusetts. Experienced in working with clients both large and small, Kim has extensive expertise in advising businesses. I’ve got several beauty and fashion industry street creds…I founded a prestigious modeling competition where the overall winners were flown into New York City and escorted by me to be seen by some of the top Modeling Agencies. I sold the company when I was afforded the opportunity to produce events for nationally televised Pageants. For over a decade I worked with the Miss Universe Organization (during my Directorship, it was owned by Donald Trump and NBC Universal), where I organized the New York and New Hampshire state pageants and worked with the titleholders that you have seen over the years on the nationally televised MISS USA Pageants. I’ve helped launch the careers of people you have seen on the covers of fashion magazines, and in national commercials, soap operas, as news commentators, authors, fashion models, actors and working in gigs on some of the reality television shows. What’s more I have a degree from the University of Massachusetts and enjoy negotiating corporate Sponsorships. I’m married to a great guy…Richard Bass (pictured below) He’s a domestic shoe manufacturer and his company’s footwear is shipped to 93 countries. Kim started her production company in 1985 and has successfully produced quality state events. Kim is the founder of The Model Star Pageants, where she produced Pageants throughout the Northeast that culminated into a final competition. The winners of her final competition won the opportunity to be brought to New York City by Kim to be seen by the top modeling agencies. 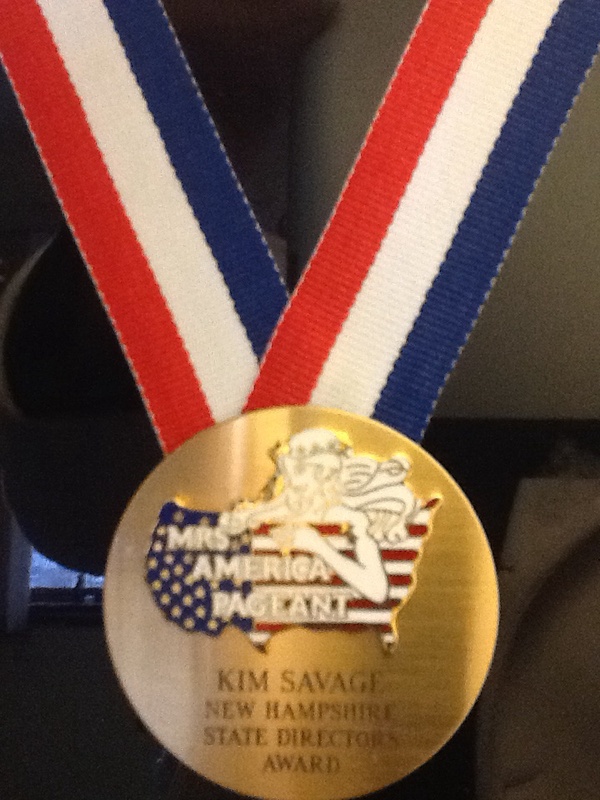 Kim won the most prestigious honor with the Mrs America Pageant, The State Director Award, presented at the National State Directors Meeting. The judging panel of industry experts selected Kim above all other State Directors, citing several factors, including innovation and ground-breaking ideas in her State Productions. “Mrs. America” is a reality-based prime time television special featuring the most accomplished married women of America. Each year, 51 delegates (all U.S. states plus the District of Columbia) compete for the coveted title of Mrs. America. Kim works with companies in brand building, fundraising, marketing and product placement by leveraging her 30 years of experience, colleague contacts and venues worldwide to target markets which provide her clients with extraordinary consumer/brand experiences. Utilizing technology, social media streams and various forms of promotional opportunities, Kim will transfer the event excitement to produce more interactions while engaging consumers with the brand’s core values to form a long term consumer/brand connection. Board member Joseph F. Healey Memorial Organization. Goal of Joseph F Healey Memorial is to showcase the great talent of golfers in MA and NH by bringing back a well managed, fun golf tournament that will provide all participants with a competitive and professional experience. The funds raised are awarded as scholarships to well deserving college students who are selected based on interviews and submitted essays focused on sportsmanship and character. Before I get into the work details of my career, it’s important to point out that I’ve had the privilege through the collaboration of many smart and talented individuals to impact the lives of thousands of young people by providing them with a platform (i.e. interview process with judging panel, speaking in front of large groups and providing a venue whereby they prepare to present themselves mentally and physically for competition). The reward for me in my career has come from seeing firsthand how the pageant experience has impacted and enriched their lives. Participated in agreement negotiations with all details involving the venue. I negotiated the venue details for meals, function rooms and overnight rooms for staff, talent and contestants. I also finalized and authorized all BEO’s (banquet event orders) room pairings, etc. Marketing – Content – Digital – Outreach – to recruit participants in the Pageants. Personally secured companies and multiple brands to collaborate with the events I organized. I handled all product placement photos, videos, consumer testimonials and event recaps. Organized the flow of event, including the daily schedule/itinerary, and collaborating on a show plan – the style of the show, script for the emcee (hosts of the show), and selecting the panel of judges. Maintained personal and professional relationships with the titleholders. Wrote and distributed press releases for television, print and radio. Used social media (Facebook & Twitter) in promoting events and brands. Contact me at NHCROWN@aol.com if you think I may be able to assist you with your next project. I take on the marketing, fundraising and branding projects for large corporations, independent professionals and small businesses. I work from my office communicating with my clients via e-mail, phone and Skype. Clients are most likely to hire my services to gain my 30 years of business experience and contacts. Using my company, Bass Enterprises, allows clients to outsource any projects that can be done from a remote location. It makes sense for clients to work smart and invest their time and resources on what matters…building their business! In my 30 year career, I’ve been fortunate to work with some of the most talented and accomplished people in the business world. My goal is to offer unmatched services and results that improve my clients’ businesses. What an interesting career! I especially liked reading about the college scholarships, great work! And I definitely agree about respect vs attention.